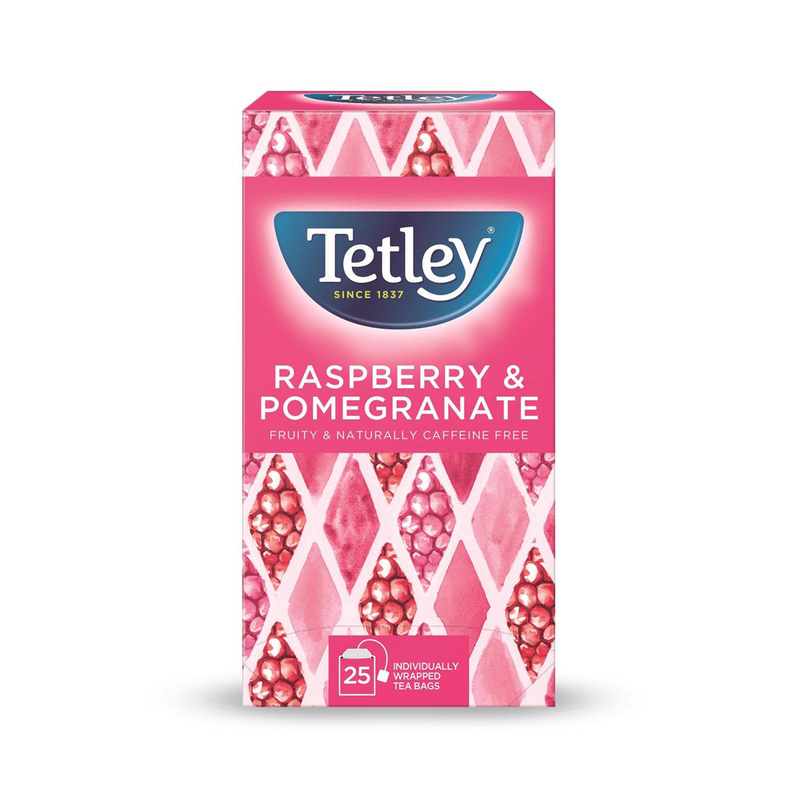 Our master blenders and flavour experts have developed the perfect combination of smooth, gentle-tasting green tea and mouth-watering raspberry and pomegranate to leave you feeling a little bit fruity! For a perfect cup of Tetley Green Tea, one bag per mug is best, or one bag per person popped into a warmed teapot. Add nearly-boiling water, stir and gently squeeze. Brew for 1-2 minutes, serve and enjoy! To sweeten, add honey or sugar but always best enjoyed without milk.